We construct Hamiltonians for systems of nonrelativistic particles linearly coupled to massive scalar bosons using abstract boundary conditions. 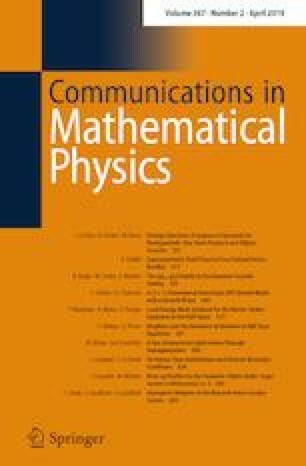 The construction yields an explicit characterisation of the domain of self-adjointness in terms of boundary conditions that relate sectors with different numbers of bosons. We treat both models in which the Hamiltonian may be defined as a form perturbation of the free operator, such as Fröhlich’s polaron, and renormalisable models, such as the massive Nelson model. We thank Stefan Keppeler, Stefan Teufel and Roderich Tumulka for helpful discussions. J.S. was supported by the German Research Foundation (DFG) within the Research Training Group 1838 Spectral Theory and Dynamics of Quantum Systems and thanks the Laboratoire Interdisciplinaire Carnot de Bourgogne for its hospitality during his stay in Dijon.